WASHINGTON — The Pentagon supports a proposal to authorize a base closure round in 2019 from Sens. John McCain and Jack Reed, the top Pentagon official in charge of military installations said Tuesday. The Pentagon’s new assistant defense secretary for energy, installations and environment, Lucian Niemeyer, said the Department of Defense backs their proposal to launch a base realignment and closure, or BRAC, process. That proposal would have the Government Accountability Office, and not an independent commission, validate the analysis before Congress makes the final call. Speaking at a Heritage Foundation forum, Niemeyer said base closures could not only save money but help the military reorganize for the next generation of military technologies as it conducts a highly anticipated defense strategy review. Yet the proposal faces headwinds in Congress, where BRACs are notoriously unpopular for hurting communities where bases are closed. Because McCain and Reed — the Senate Armed Services Committee chairman and ranking member respectively — are championing the BRAC round, “there is real hope this year” it will be approved, said Andrew Hunter, a former congressional staffer now with the Center for Strategic and International Studies. 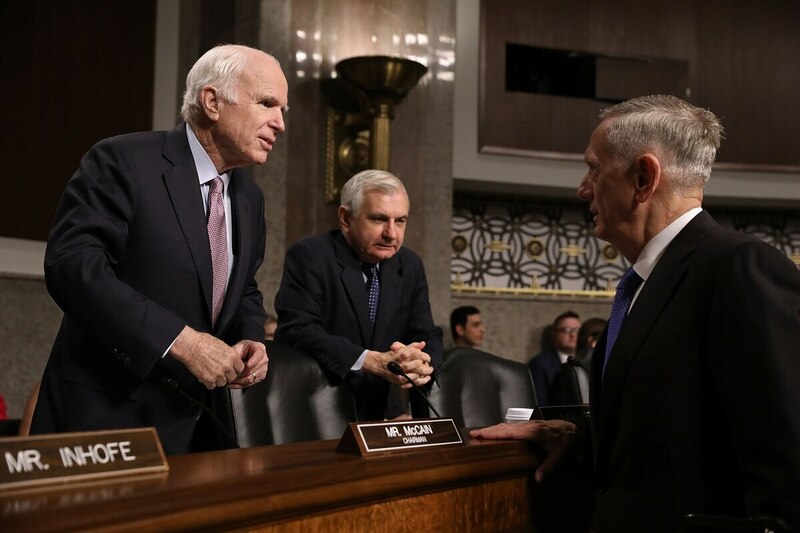 McCain, R-Ariz., and Reed, D-R.I., proposed a new BRAC round as an amendment to the annual defense policy bill. Under the plan, the list of potential base closures and realignments would be compiled by the DoD and reviewed by the GAO before it is certified by the president and submitted to Congress by the fall of 2019. There would be a 60-day public comment period and, finally, an up or down vote by Congress. Niemeyer hailed its provision, capping the cost of the closures and realignments at $5 billion and nodded to a BRAC alternative from the House Armed Services Committee’s ranking member, Rep. Adam Smith, D-Wash., that would require more detailed cost estimates to be submitted to Congress. That may be a step toward winning over lawmakers like HASC Chairman Rep. Mac Thornberry, R-Texas, who is among lawmakers who have attacked the upfront costs associated with the last BRAC round in 2005. He quashed a pro-BRAC amendment during a floor debate on the House defense policy bill in July. There has been pushback against the McCain-Reed proposal from at least one SASC member, Sen. Martin Heinrich, D-N.M. He told the Albuquerque Journal earlier this month it would invite more lobbying of the Pentagon by Congress, a development he says would not be productive. “I understand that the Pentagon wants to divest of assets that aren’t materially contributing to our national security, but I’m not sure what problems are addressed by a new version of BRAC that involves more lobbying,” Heinrich told the newspaper. Military leaders have pushed for another BRAC round since 2013, arguing that their current domestic footprint is too large given reductions in force size and equipment modernization in recent years. The DoD estimated under the last administration that it could close 22 percent excess capacity for a savings of $2 billion or more annually by 2027. In any case, almost none of that excess capacity is in the Navy, with most in the Army and Air Force, Hunter noted. He suggested lawmakers with ties to naval facilities may as a result find it easier to vote for a BRAC round. Still, the politics will likely be difficult to overcome.